Nyarlathotep for the Streamlined skin elements and whoever else involved in making the art. 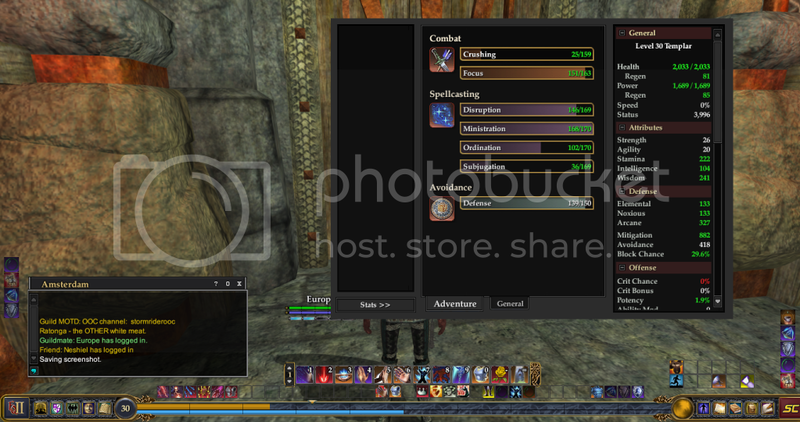 Hello, I just downloaded this beautiful skin for EQ2 but seems there is an issue with the Character screen. Everything else is perfect, but I'm missing the Character list. I've posted a Screenshot so maybe you can help diagnose it. Love the skin! However, it is not playing nice with EQ2Maps (or perhaps it is merely the minimap window, as the full sized map works as should)! The title bar has the text in it (showing the name of the zone I'm in) as well as the fancy direction labels on each side of the window, but otherwise the minimap window is totally blacked out for me. 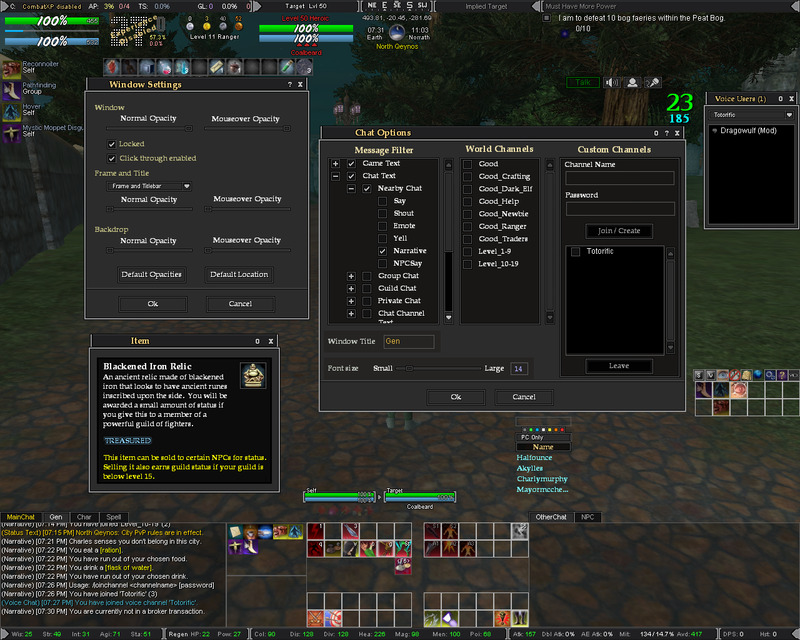 I have tried running the EQ2Maps updater, thinking it might correct the issue, but to no avail. I'm unable to upload a screenshot of it, so hopefully my description is understandable. Any idea how to correct this issue? NM got it to work, really nice job, looks so much better. Last edited by DjThaPimp : 11-17-2010 at 02:50 AM. Any plans for updating this to work with the new UI changes going in sometime this month? Does this skin still work with profit? I'm glad everyone likes it. To let everyone know, I'm doing a whole revamp of the Vex Skin. 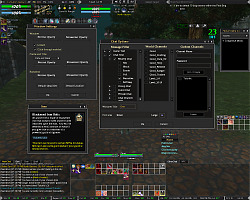 The skin will still work with both ProfitUI and the Default UI. It's not going to be much different in the terms of aesthetics. It's still going to be the same awesome skin, but I'm giving it a face lift. I'm changing the title bar and making it be more like the Default so it doesn't go all the way across the window. I'm also trying to do away with most, if not all of the .XML files associated with this mod so I can stick strictly with .DDS image files, which will make it easier and quicker to update. Reason being is because I'm planning on making a full featured interface, with features from ProfitUI, but less "cluttered" and more minimalistic. Most of the changes are just changes in the core rather than the appearance. I'm glad to say that I'm using this with Razieh's Razc interface. Makes it look even smoother. I seriously cannot use ProfitUI without it, it's simple colors are beautiful. Much easier on the eyes than the default i gotta admit. Thank You for this! Ok I had gm9 change the Browser window, but the Market window according to him, cannot be changed with the way it is set up. Ah ok, thank you for the info, and the assistance. Again, great skin for a great UI, kudos to both of you! First off, let me say I really like this skin! The only issue I'm having is, the title bar of windows like the browser window or the market window (for the sales log), that is supposed to have tabs, doesn't show them. It's just a solid bar across. I can kinda see a thin line of pixels above the sales log tab sticking up above the bar, but there is no text or anything else to define where the tab should be. It's not a major issue, since they aren't extremely commonly used tabs for me, but something I thought you may want to know about. That is actually an issue with ProfitUI Browser and Market windows. I will personally talk to gm9. Pretty much the problem is that the frame is actually above the tab pane in the .xml code, and when something is above another thing in any code, that means that it will show up before (or on top) of the other. The reason why my skin is different is that instead of having a titlebar/frame/background, i have just a frame/background (titlebar/frame got merged in my skin because of how windows are setup). I'm sure if I talk to gm9 he could do something. I will forward this to him and see what he can do. Oh, and thank you for your feedback. Any requests are also greatly appreciated. Sorry for the delays. I kind of am on break with a bunch of things so I haven't had much time for any personal tasks such as this. No new update for this fantastic skin?